Arizona State University today announced the ASU Smart City Cloud Innovation Center (CIC) Powered by AWS, an initiative that focuses on building smarter communities in the Phoenix metropolitan area by using AWS Cloud to solve pressing community and regional challenges. One example of how the ASU Smart City CIC might contribute to the community is a consistent street-lighting system across the region. Housed initially at ASU’s SkySong in Scottsdale and staffed by AWS and ASU employees, the ASU Smart City CIC will support visiting scholars, faculty, student researchers, industry experts and community members to identify best-in-class solutions for smart city challenges. The center is slated to open in early 2019. "The pace of innovation is changing rapidly, and Greater Phoenix is keeping up by showcasing its strength as the nation’s technological proving grounds,” said Chris Camacho, president and CEO of the Greater Phoenix Economic Council. 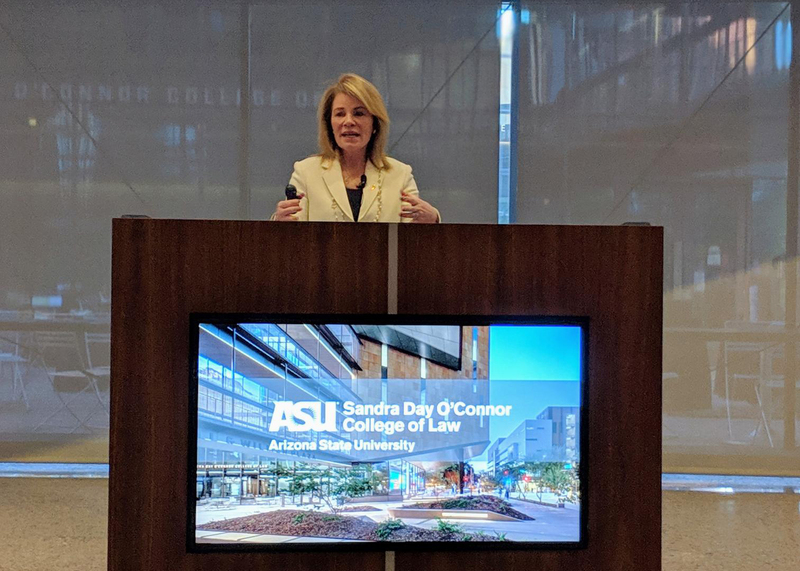 “A true regional asset that will provide immense value, ASU’s Smart City CIC is going be a place where everyone from corporate to community can collaborate as we innovate and build the future place together." The ASU Smart City CIC is the most recent of the AWS CIC programs, which employ Amazon’s innovation processes, cloud expertise and global solution platforms. Other CICs include those at California Polytechnic University Digital Transformation Hub in San Luis Obispo, California, and the Busan-Amazon Cloud Innovation Center located at Dongseo University's Centum campus in Busan, Korea. The CIC is the latest ASU-AWS collaboration. In August 2017, ASU placed 1,600 Amazon Echo Dots in its Tooker House engineering residential facility, giving students access to a custom ASU-developed skill for Amazon Alexa. For the fall 2018 semester, ASU collaborated with AWS Educate to launch its Innovation Scholar Challenge, which included a series of cloud skill-building workshops and on-campus hackathons.